Charity Shop Scores in Rayleigh and Hastings. You can't keep a good woman down. Or away from charity shops it would seem. Or maybe that should be *this* woman... Anyways. 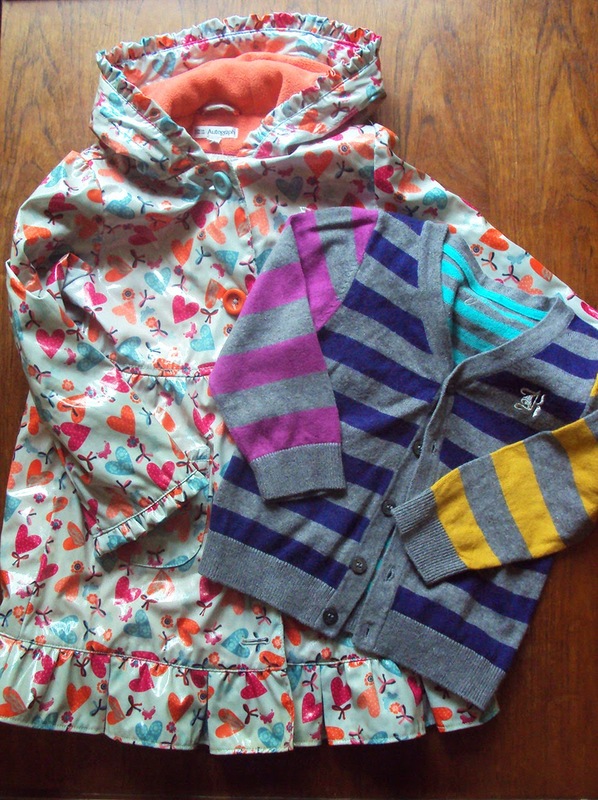 I'd like to share with you a couple of recent hauls that I snaffled for Baby Girl (who is almost a toddler now, what?!). Everything here probably won't fit her for a long time, at least six months time I'm guessing, but it's good to have some nice bits in the 'bank'. 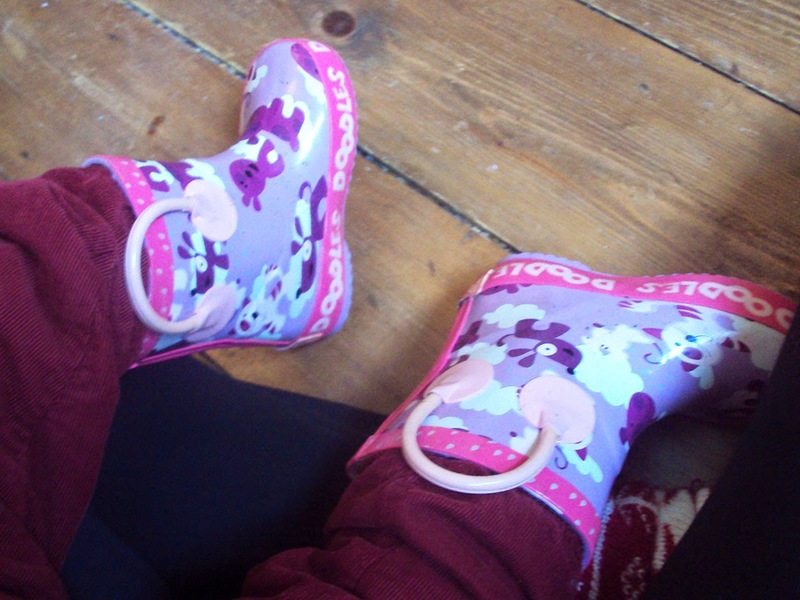 I understand that buying children's' shoes second-hand would make many parent's eye twitch. Personally, if I see shoes that have no or next-to-no visible wear, particularly if they are from excellent brands, them I'm going to get them. If they are the type of shoes that has a width fitting as well a general size, I'll of course make sure it's the same as she wears and I'll get her feet measured again before putting her in them when it's time. These scores very nearly didn't happen at all. I saw the coat in my local Barnardo's just before closing one afternoon, and although it was well made and in excellent condition and water proof and fleece-lined, I put it back because it's sized 4-5 years. My little girl isn't even 18 months yet so I thought it might be a squirrelling/hoarding step too far to buy this coat. However, I thought about it and decided it was a bargain too good to pass up and luckily it was still there when I went back the following morning. 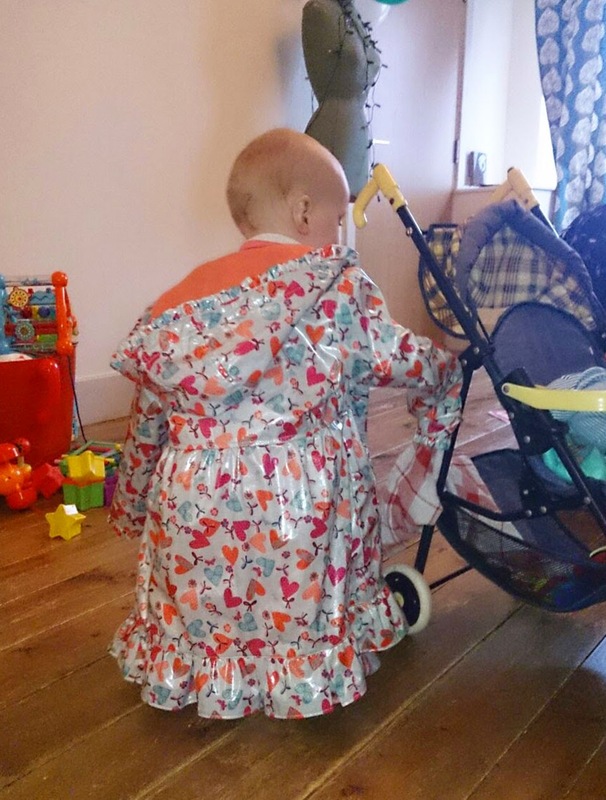 I'm probably never going to make her a water proof coat, and if she's anything like her dad, as soon as she starts school she'll lose them at a rate of one per term! Whilst I was there sheltering from the rain, I found this lovely little cardigan in the boys section. Normally I overlook the knitwear in charity shops (for Dolores) because Nanna-knits are always going to be cosier and made with more love, but for this I made an exception. I love it's vibrant-but-not-too-childish colours and it feels amazingly soft with some angora content, so that got snapped up too. I shouldn't have worried if it was a bad choice to buy this coat or not. As soon as I got it out to show Pat she demanded to put it on to play in! 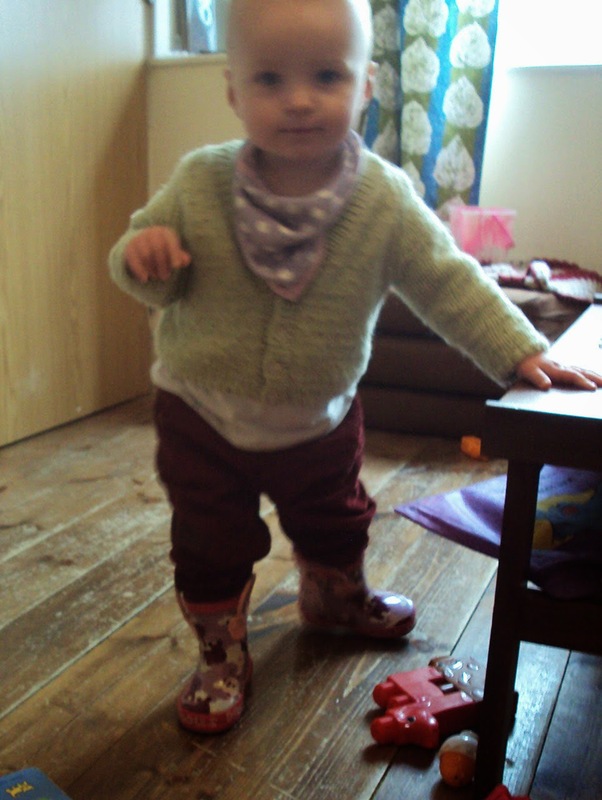 Refashion Friday Announcement: Kid's Clothes Week Upcycling Sewalong! I'm so flipping excited right now. 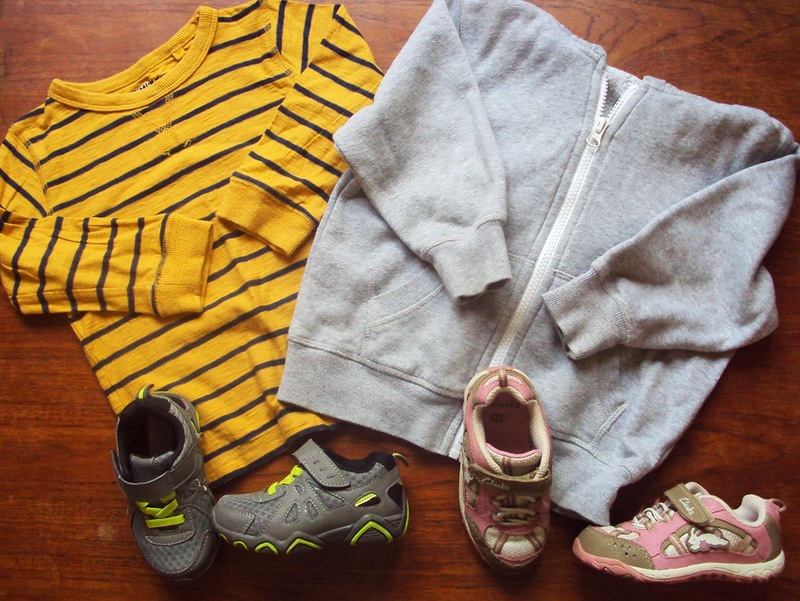 Not only is the next edition of the awesome Kid's Clothing Week sewalong just round the corner (2nd - 8th February 2015), but it's about upcycling/refashioning/reworking old clothes!!! Literally my favourite things in the world right now (aside from hanging with my fam, drinking margaritas and eating) is making children's clothes and reusing unwanted textiles. Niche, I grant you, but it massively floats my boat. I'm sure that this season's KCW challenge will encourage participants who have never reused old clothes to realise the wealth of hidden potential that already lies in their wardrobes or local charity shops. Plus I'm guessing that it'll encourage participants who do already upcycle/refashion to think of new and exciting ways to do so. I, for one, cannot wait to see the results. If you are interested in learning more, check out the excellent KCW blog. There are some fabulous posts up there providing inspiration for reusing clothes like men's button up shirts, adults t-shirts and jeans which are well worth a look. Plus there are heaps of awesome refashioning/upcycling clothes into children's wear ideas on my Refashioning Project Ideas Pinterest board. 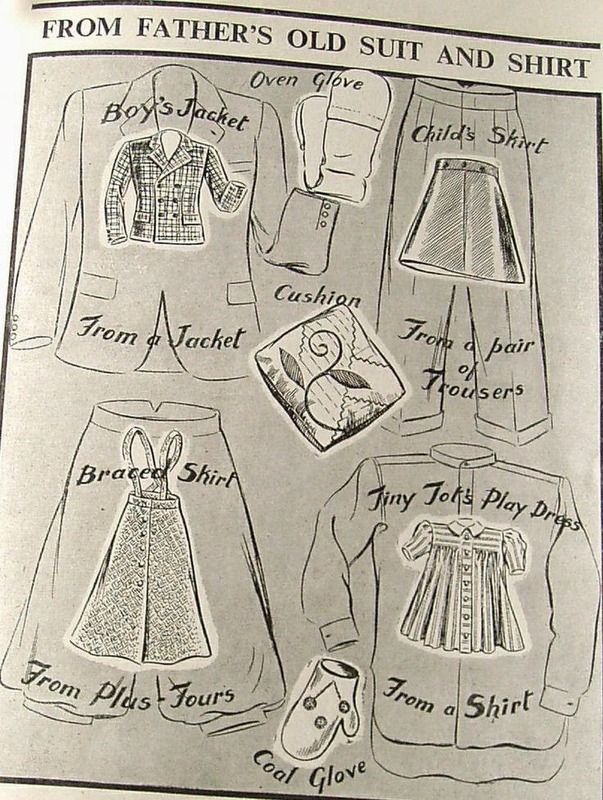 Obvs reusing adult clothing to make children's clothing is nothing new. Cavemen were probably cutting down their old animal hides when they got a bit shabby for their little ones! 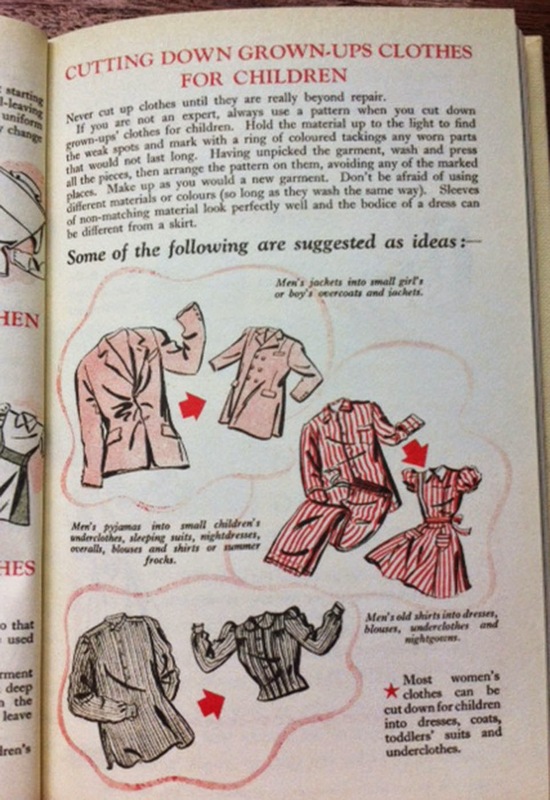 However it was during the Second World War when most consumables were being rationed in the UK that a lot of literature was published to help mothers be resourceful by reworking theirs' and their husbands' clothing into items for their children. I'm very much aware that life during the Second World War must have often been horrendous, both for those fighting and those trying to get by in the UK, and it must have been very stressful trying to provide for your family with such limited resources. However, the inventiveness, creativity and techniques that many would have needed to deploy as represented in the vintage images in this post are things we as sewers today can study, celebrate and be inspired by. Plus I very much feel that treating textiles as a valuable commodity, worth reusing rather than discarding, is a lesson that should be learnt by us all, and quickly. Fabric production, processing and transportation is very damaging to the environment in many ways. I really hope that those of us in the West start trying to get the most from existing textiles rather than constantly buying new and therefore creating demand for more and more fabric production. And if those of us who sew as a form of creative expression and to clothe ourselves and our families begin to reuse unwanted clothing for many more of our projects, then that will surely go at least a tiny way towards limiting that demand for fabric production. Not to mention that we will be contributing towards a sea change that will hopefully, finally, make limiting environmental damage a priority. But back to this challenge.... I am planning to work on a variety of projects during this KCW. My aim is to upcycle/refashion/rework a variety of different garments, plus treat one/some of them purely as a source of fabric whilst with another/others I'll try to use or incorporate features from the original garment. I really want to make the most of this challenge as it inspires me so much, so I've already started some of the 'boring' tasks like tracing patterns and buying elastic in preparation so that I can spend more of the challenge week on the construction part of the process. What about you? Does this kind of challenge interest you? Are you planning on taking part in this season's KCW? If so, any ideas so far? I spent a lot of the festive season staying with relatives (i.e. away from my sewing machine) so when we finally returned I was itching to attack some projects. What are the two most satisfyingly quick sewing projects known to man? Baby/toddler leggings and undies!!! So in under a week I managed to crank out eight pairs of baby/toddler leggings using the Playful Kitty leggings pattern I used previously and the four pairs of pants/knickers/undies (pictured above). A super-productive first week of 2015 that I have no intention of trying to replicate going forwards! But it felt great to get those all much-needed items under my proverbial (and in case of the pants - literal) belt. 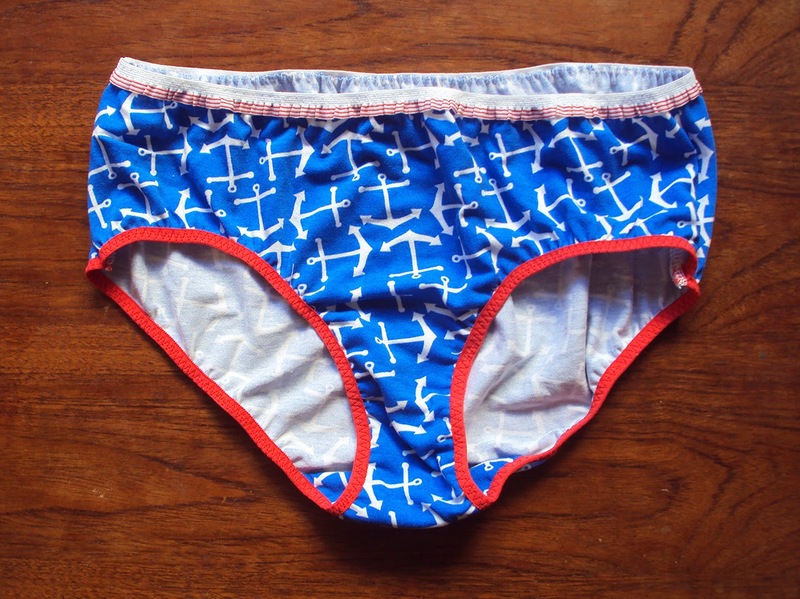 What better way to welcome in the new year than to remove from your undies drawer the ropey old pants that make you feel less than attractive, and whip up some new ones?! If there is one, then I can't think of it. It probably won't shock to you learn that the pattern I used for these is my own self-drafted one which is available for free download here. BTW, I just checked and the pattern has been downloaded over 22,000 times! How mental is that?! These were also a great project for skint-January as I was able to construct them entirely from pieces of jersey and elastic I already owned. When that happens, no matter if I bought the fabric and notions myself at some earlier point, I always feel like it's somehow free! For example, both the leopard print fabrics have been used for a couple of other projects apiece previously, including these epic leopard print baby trousers. The blue leopard print fabric is very synthetic, so I used a frilly/lacy style of elastic round the waist of that pair to try and soften the look and avoid them appearing too much like swimwear or dance wear. The floral pair were made from leftovers from the toddler leggings I made for our niece for the Christmas before last (during times I really should have been napping). 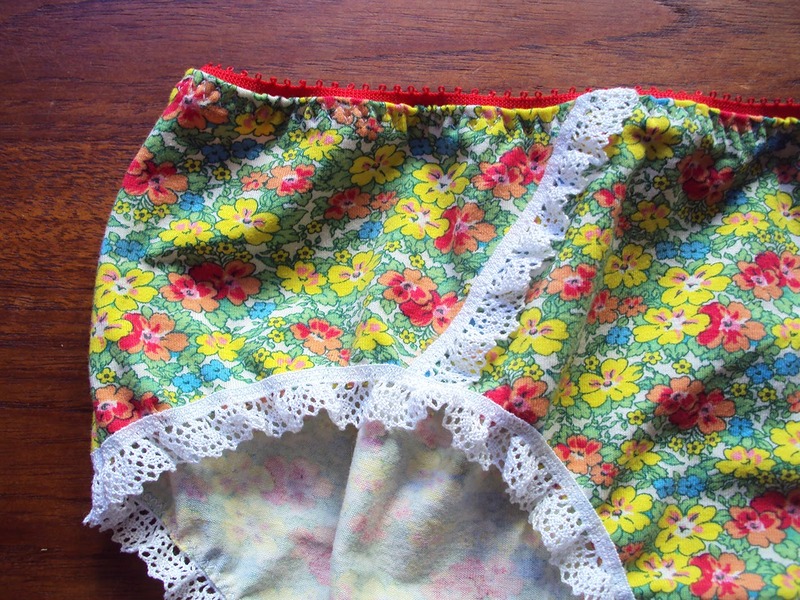 The cotton lace elastic came in the batch sent to me to make undies samples with by my blog sponsor Maggie at Textile Garden, and you can buy it here. The nautical pair are made with remnants from the short-sleeved dress version of my Dolores batwing pattern. These are too hot-off-the-press for me to have had a chance to try them all out and determine a favourite, but on visuals alone I think the leopard print ones have stolen my heart! 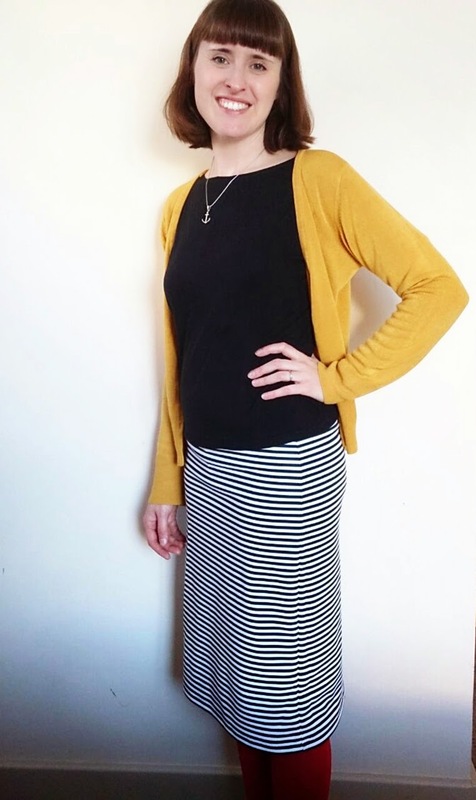 I ran out of time to blog my final creation of 2014, so here she is paired with a black Dolores batwing top and The Mustard Cardigan That Will Not Die (despite near-continuous use for the last four years). Well, I'm not going to lie, I can be a lazy cow when it comes to sewing and pattern cutting. 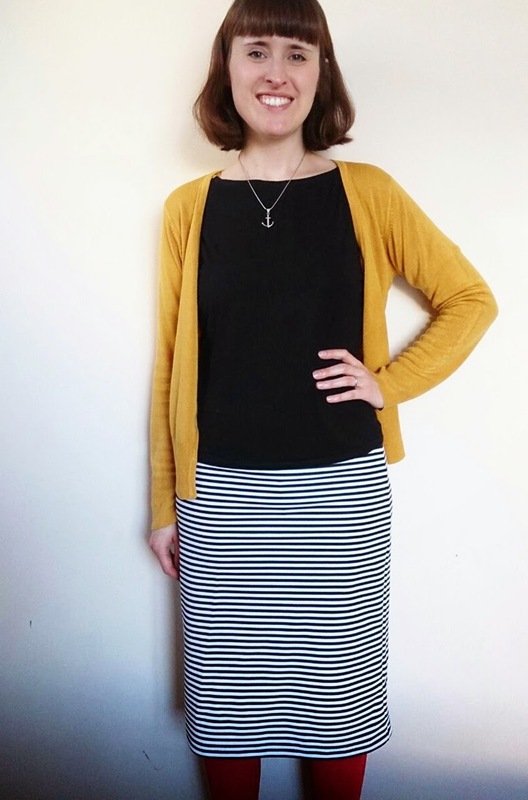 I could have drafted a simple knit skirt pattern myself if I had been arsed, but I couldn't so I bought the Mabel pattern by Colette patterns. I enjoy how neat and lady like I feel when wearing skirts and dresses, but rarely do so because I just don't find them as comfortable as jeans or trousers. 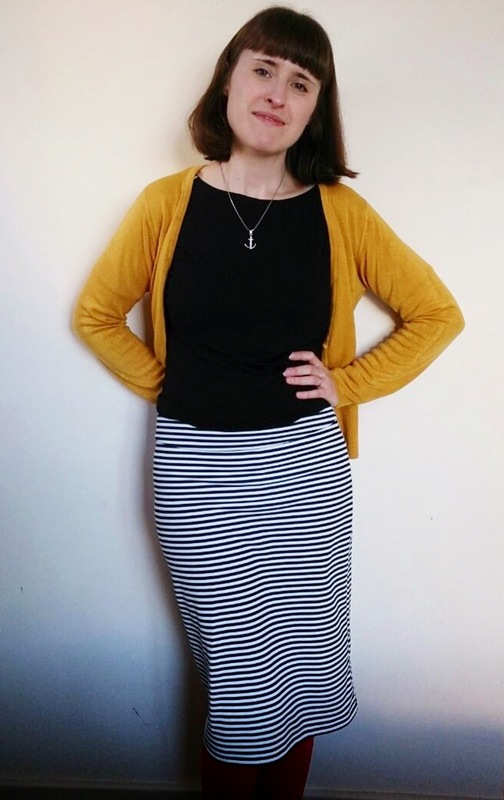 So I thought a knit skirt might bridge the gap somehow, and I might trick myself into wearing more skirts if they are as comfy as wearing a t-shirt round my thighs! I'm not sure if I've written this 'out loud' before, but generally I'm not a massive fan of Colette patterns. I think they are beautifully designed and the packaging, website etc. is very pretty, but whenever I've actually made one I've found elements of the drafting that have annoyed me so I have steered clear of them for a long while. But a pattern as simple as this? What is there to annoy me?! Not much! Hurrah! I really like this pattern and its options. I basically made Version 1 but lengthened considerably. I could have blended Versions 1 and 3, but I didn't feel it was necessary and I wanted to avoid that stupid back vent detail on the longer version. That is the one sticking point for me with this particularly pattern, why make a back vent for a skirt made from stretchy knit?! The vent is unlikely to ever sit flat (in fact I saw a version that was made in double knit that was display on a dress form and the vent had to be pinned down because it wouldn't sit right), and surely the stretchiness would negate the need anyhow? Anywayyyyy... I cut the medium size and it's almost perfect. However, in this fabric I think I'd have been better off adding an each 1 cm to each side seam around the thigh to give me an extra 4 cms in total. Plus I think I may have made it too long. I was aiming for knee length but I didn't bank on it sitting as low as it does so it's it feels kind of grannyish (no offence, grannies). This weird synthetic double knit has been in my stash for years and is from an unremembered source, perhaps from when I worked at TRAID. I think it may be the same stuff, or very similar, to the fabric I used for the top part of this dress I made three years ago. Actually, remind me to dig out that dress and cut it down to make a top. This fabric is very solid and a joy to cut and sew. There's a good stretch content, but equally good recovery, hence I'm feeling the lack of those 4 cms round the thighs where a 'looser', more forgiving knit might not highlight it so much! Hmm, this was always going to be a wearable toile, but how wearable is it in its current state? I need to wear it again for a full day to decide if it's comfortable enough to bother re-hemming it about 4 cms or so shorter, or if the fabric should be transformed into baby/toddler leggings. If I choose the latter, I actually have enough of this fabric left to squeeze out one more attempt. Does anyone else feel the same as me about wearing skirts and dresses? Do you have a way of tricking yourself into wearing them? I think one of the problems I have is that I rarely find tights that I like the fit of and I can wear all day. Maybe I'll try making my own tights this year to spec and alleviate one of the main discomforts of skirts and dresses when worn not at the height of summer. 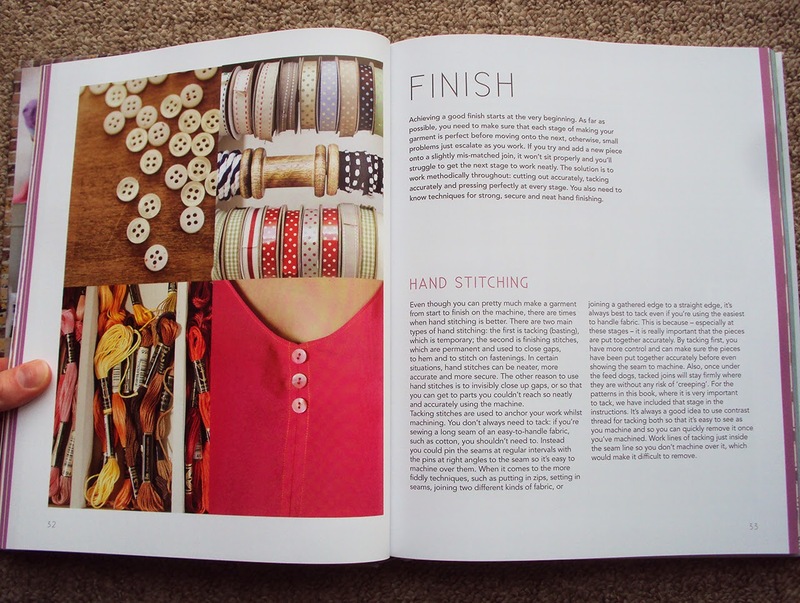 Today's post is the final in my little series of sewing-related book reviews. If you didn't see the other two and are interested, Part 1 is here and Part 2 is here. I wrote a fuller review of this hard-back title back in March, but in short this book is aimed at everyone aside from the super-super-skilled seamster by guiding them through a multitude of garment sewing projects. 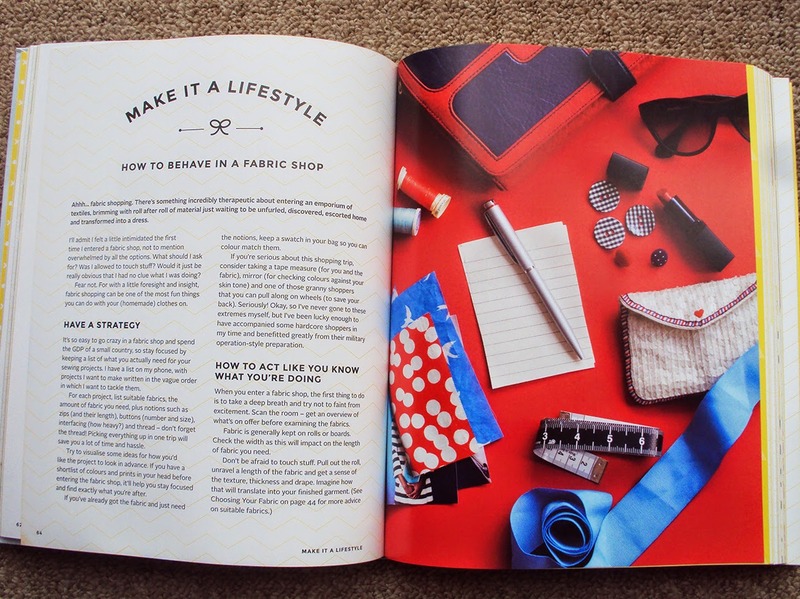 It is very detailed and I'd be surprised if most people who like sewing couldn't find something to interest them and help improve their skills in this book. Hell yes it includes patterns. Squillions of them, for women, men and children. So many that I'm not exactly sure how many, and I don't have the book with me at the moment to count them. As I mentioned in my full review of this book, it'd be unlikely that you couldn't find at least one of the patterns worth a bash. 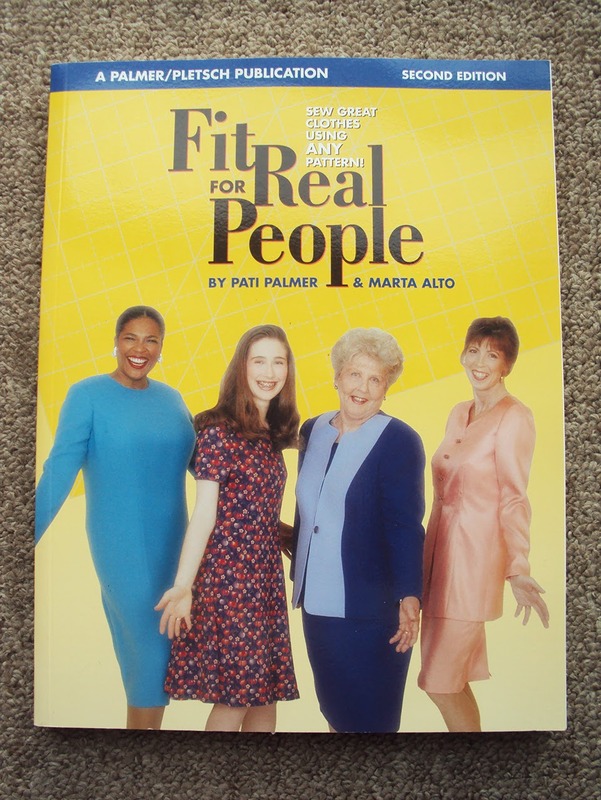 I'd recommend doing some internet research before you embark on making any of them though, as I've read a few people's comments stating they found flaws in the sizing or fit this or that pattern from this book. Nup, I haven't used it. I really should give it some attention one of these days because I'm sure I could learn a thing or two from it, but I must admit that none of the patterns appeal to me that much so I haven't scrabbled to make anything from it. It does look a thorough and detailed tome though. So if you are just getting into sewing and looking for a book to really get your teeth into, this could be a really good buy. Plus with sooo many patterns included, if you like a lot of them, it could work out great value for those alone. 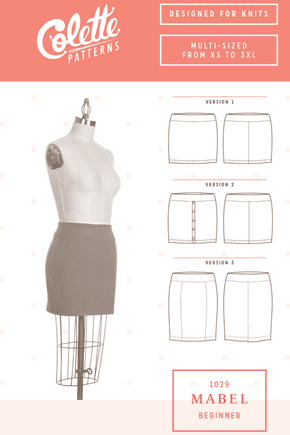 This paper-back is all about creating well-fitting clothing by tissue-fitting your pattern and making any necessary alterations before cutting into your fabric. It is only concerned with this method of fitting, but covers pretty much every figure 'quirk' you can think of. So unless your proportions miraculously match those of the Big-Four pattern companies, you're likely to find at least a small part of it useful. 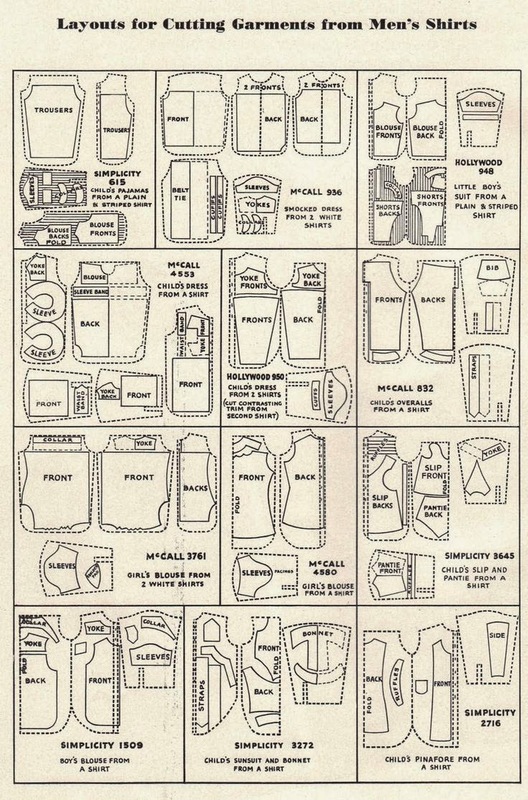 It also includes quite a bit of history into sewing patterns, sizing and more, so if you are sewing geek on any level, you're likely to find it interesting. No, but it will help you look at all sewing patterns with a renewed sense of potential! I must admit that I owned this book for an embarrassingly long time before even opening it up. However, one of my sewing aims for 2015 is to make well-fitting garments. Since my opportunities for sewing have diminished, I'm aiming for quality rather than quantity when it comes to making myself garments. So I've cracked this book out and am currently reading it more or less from cover to cover. I'm skim-reading the parts that really don't relate to me, but still absorbing information from those sections to have a better understanding of fit in general. But hot damn this is an ugly book! Aside from the fact that all the garments that are being made look like something worn by audience members from early episodes of Oprah, the quality of photography is not great and there's a weird mix of styles when illustration is deployed. I'd actually prefer it if this book was almost entirely illustrated, I think the techniques would be easier to decipher. But it's not just the clothing styles and book production that looks dated, it also shows how much our funny old pastime has changed in recent years by the fact that this book deals exclusively with the Big Four pattern companies' products. 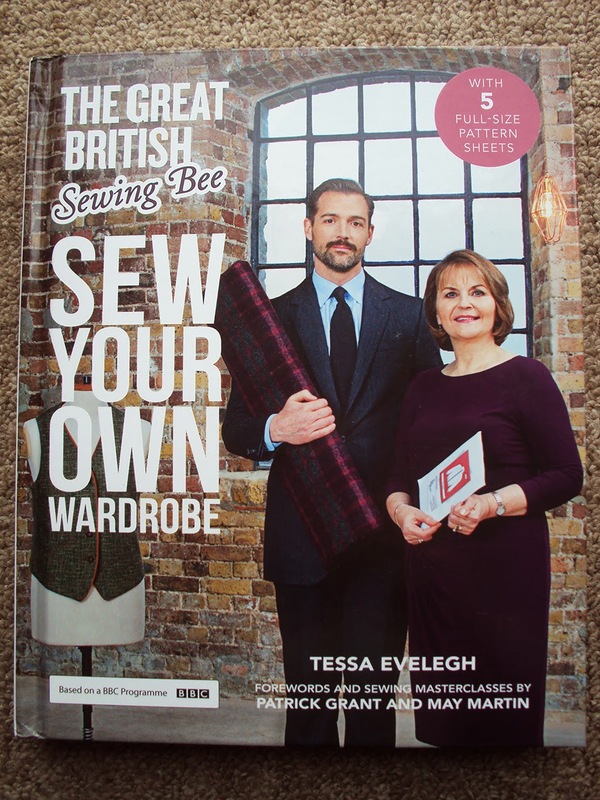 With the blossoming of independent sewing pattern availability, which are often available as PDFs or in different grades of paper, I wonder how relevant the tissue-fitting method this book exclusively deals with will be going forwards. 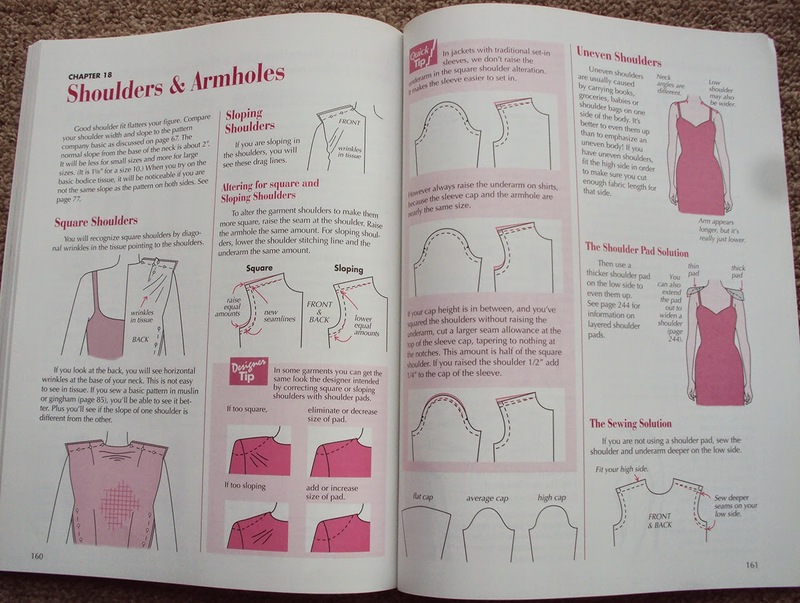 That said, these authors are incredibly knowledgeable and experienced, and anyone who takes sewing their own clothes seriously should probably own or borrow this book at some point as it includes so much useful info on how to alter patterns to correct figure 'quirks'. This sizeable paper-back is another that I have previously reviewed more fully, however, in-brief: it is aimed at beginner and 'lower-intermediate' (if such a thing exists, although generally I hate categorising people who enjoy sewing in this way) sewers, but really anyone who appreciates a friendly, technical-jargon-free approach and a beautifully designed book. I feel that this book has probably permanently altered what many of us will come to expect from a sewing book, in terms of both the stylishness of the projects and the design of the book itself. I was luck enough to be sent a copy by the publishers to review on my blog. Indeed it does! And if you are into Tilly's aesthetic, then it's wonderful to have a collection of cute and wearable patterns to bust out with crystal clear instructions and photos to hold your hand through the construction. Like all good sewing books that include patterns, the projects start at a relatively easy level and get progressively more challenging as your skills and confidence improve. I have very much enjoyed reading chunks of it before bed and stroking the beautiful pages! I will definitely be deploying the Margot pyjama bottoms and Mimi blouse patterns before 2015 is out. The others are sweet styles but either not my aesthetic or not suitable for my current lifestyle. If cocktails begin to feature more frequently in my life again, the Lilou may happen too at some stage! The author, Tilly, is my friend and effectively my boss since I teach workshops at her studio space. 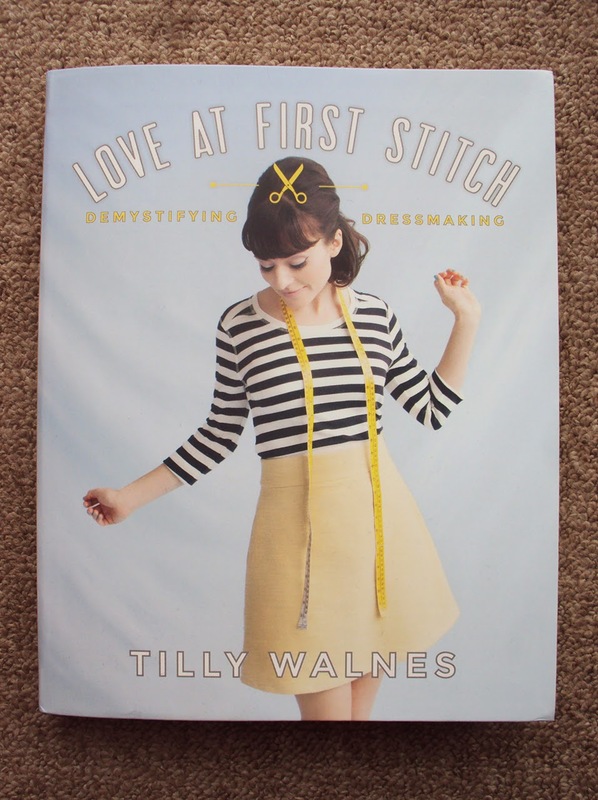 But I hope you trust that I'm not being biased when I say that if you dig the look of the clothes in this book, you'd be crazy not to put 'Love at First Stitch' on your birthday wish-list.